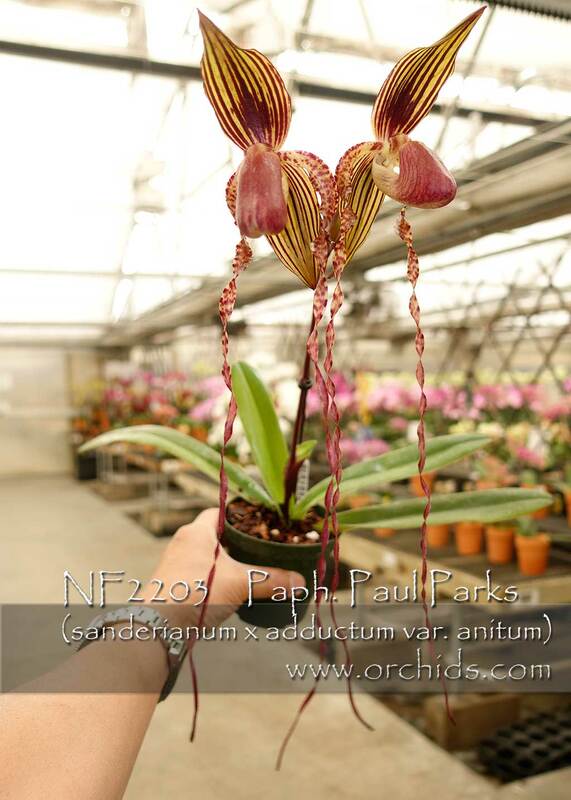 Capturing the best of both its parents, this hybrid was made using the extremely dark color form of Paph. adductum as the pollen parent ! Great dark color with crisp well-defined striping on its segments comes from the influence of the bold Paph. adductum var. anitum parent with its long spiraling petals a result of the pod parent, Paph. sanderianum. Our photo shows an amazing petal length of 30 inches on just a first bloom seedling ! Very Highly Recommended for the Best of the Best !